Sunset View Ridge Residences is a newly opened bed and breakfast in Baguio City. If you want to witness a view of the sea from the mountains, this is the place to be. If you are planning a trip to the city of pines, check this place out and let us know what you think. On my birthday, I booked a beautiful French home, Le Coq Bleu, at Baguio City via Airbnb. We had a great time with the owner, Chantal and she recommended some restaurants to try. One of her recommendations was the Sunset View Ridge Residences. Upon arriving at Sunset View Ridge Residences, we were greeted with orange colors everywhere. Yup. It is sunset alright. We looked for their restaurant and settled ourselves. However, the chef was sick that time so there was no food. Sad. We’ll just come back tomorrow. Hohoho. But their manager came to the rescue and said she could give us a tour of the place if we wanted. Their restaurant was beautiful. Just look at the photo. And that’s just the bonus. The main highlight was the view of the sunset. Indeed, Sunset View Ridge Residences lived up to its name. Next up, we went to see their rooms. They were pretty modern and sleek. Here are some of the photos we took. The next day, we came back here to eat lunch. After reading A Taste of (Filipino Food) Heaven at Sunset View Ridge Residences, we tried the tinapa rice and pork belly with lettuce. We highly recommend it! We will definitely come back here again for both the view and the food. 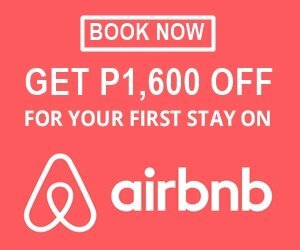 Rates are as low as 1600 pesos. Ask the bus driver to drop you off at the entrance to Suello Village. From there, Sunset View Ridge Residences is just 10 to 15 minutes away by foot. Option 1: Ride a jeep heading to Greenvalley and stop by Suello Village. Then walk to Sunset View Ridge Residences. Option 2: Take a taxi and use Google Maps or Waze to direct the driver. Liked the article? PIN ME.